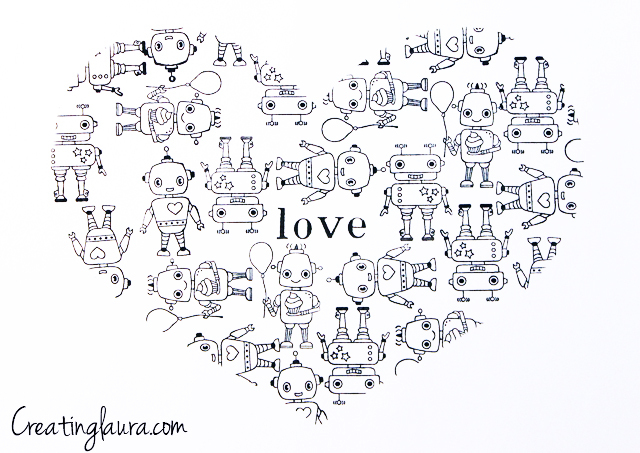 The other day I was playing around with my robot stamps and I made this funny little picture. It was a really simple idea: make a stencil, stamp like crazy, then remove the stencil to reveal the stamp-shape. 2. Draw half of a heart on the paper. 3. Cut along the line you've drawn. 4. 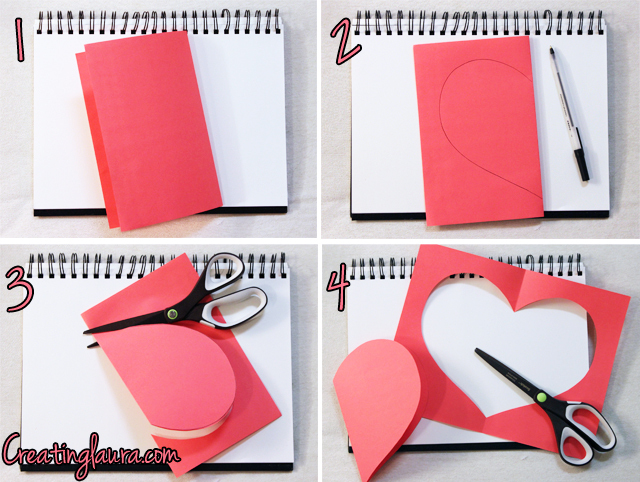 Unfold the paper and you'll have a perfectly symmetrical heart. 1. Tape the stencil to a piece of paper. 2. Stamp away! The more you stamp, the better. 3. Remove the stencil, and you're all finished. I hung my artwork on my wall and surrounded it with a washi tape frame. 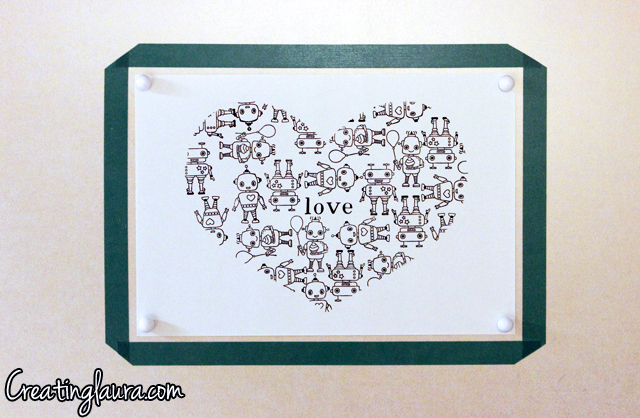 I got the idea for the frame from this post on Design Sponge. I LOVE this idea!! That robot stamp is so cute. I'm thinking I need to dig through my stamps to try this, thanks!